You’ve protected your building with locks and alarms; you even have surveillance cameras recording the activities of people and events. But what have you done to protect your most valuable possessions, such as cash, vital corporate records and computer data? For these, you need to look to commercial safes. A safe can preserve its contents, even if the building burns down around it. A safe will slow down a burglar, giving time for the police to respond to your alarm system. And a safe will protect a business’ cash and information from being a target of white collar criminals or internal theft. Not Your Average Office Supply Store Safe! There are lots of bargain safes available at hardware or office supply stores, but they are not built the same way as the safes we offer. They may look good on the store shelf, but how will they look in the basement debris of a burned building, after being exposed to 1200-1800 degree heat for two hours? More importantly, what will the contents look like? (Or will the contents already be in the hands of a thief?) If the items in your safe are important to you, give them the safety and security they deserve. Give us a call or come in and see for yourself the benefits of a well-built safe! A “fire” safe is designed to insulate the contents from the heat of a fire. Cheap ones will have sheetrock (stops flames, but not heat); better ones will have a composite mix of concrete and other materials, plus a metallic door gasket material that expands and seals when exposed to heat. Safes designed for photos or computer “media” will have additional heat protection. A “burglar” safe is stronger than a fire safe. Whereas a fire safe might only have thin sheet metal that sandwiches its insulation; any teenager with a drill and a hammer could easily open it. A burglar safe will have high strength steel that could vary from ¼” to several inches thick. And although no safe is totally impermeable, the extra armor and technology take time to penetrate — time that a burglar can’t afford to spend on site. To prevent the thief from simply carrying away the safe, it must either weigh 750 pounds or be strongly secured to the building. Ratings are given if the safe can withstand a skilled burglar with powered shop tools for either 15 minutes or 30 minutes or even longer. Not all commercial safes are created equal. Some are designed for maximum security and are rarely opened. Others need frequent access. For instance, insulated file cabinets give full-time fire protection but only need to be locked at night. 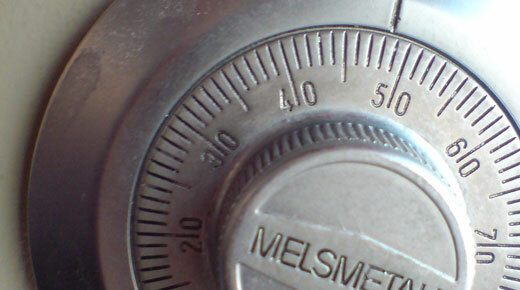 There are many types of commercial safes, these are just a handful of common ones. What Size Commercial Safe Do You Need? Whatever size you think you need, get one larger. We commonly hear from our customers that they wished they had gotten a larger size safe because they think of many more items they could place in their safe once they get it home and start using it. Obviously you have to take into consideration the limitations of the space you plan on putting the safe in and the size of the door openings and stairway width getting to that space, but leaving some space for future expansion whenever possible is a good idea. It’s always cheaper to spend a little more money buying a size bigger now then to buy a bigger safe down the road. Are You Protecting Media Such as CDs, DVDs or Flash Drives? A traditional fire safe is designed to keep the inside temperature of the safe from reaching the “flash point” of paper as long as possible; that is the temperature at which paper will combust into flames. However, a CD or a flash drive will begin to melt at a temperature much lower than the flash point of paper. That is why it’s important to buy a “media safe” if you think this is something you’ll be protecting. We can show you which safes can accommodate this feature.